One thing is certain, a 10x optical zoom camera system for the smartphone is somewhere in the wings. The answer will become clear on January 16. Oppo has been sending out media invites for a launch event in Beijing GSMArena.com reported on the event date. Question marks surface over whether Oppo will show a smartphone camera with 10x optical zoom prototype or whether it will launch such a device in the marketplace. So, what to make of the message, 10 times a view, see you soon? Sources even in China were not yet certain what to expect at the event, if they would be seeing a market-ready phone or a phone utilized to demo the technology. GSMArena.com took a guess that the event will likely be in the form of an introduction to a prototype. Babu Mohan in MySmartPrice recalled the Mobile World Congress in Barcelona in 2017, where Oppo showcased its 5x lossless zoom technology. However, the technology is yet to be commercialized. Lars Rehm in DPReview.com also wrote about the showing that captured attention—and anticipation—only to find the product never brought to commercial stage. "Chinese smartphone maker OPPO showed a prototype device at its booth that featured a dual-camera setup with 5x optical zoom in a normally-sized smartphone body. The zoom lens design had been developed in cooperation with CorePhotonics and used a 90-degree angular prism to direct the light to a vertically positioned stabilized camera sensor." Mohan recognized there were no specifics about the latest zoom technology at the time of his writing and that the basic setup was expected to be similar to the 5x lossless zoom technology described in the past. Last words? "To find out more about the technology, all we can do is wait until the event in China on Wednesday." Mashable's Stan Schroeder similarly drew readers back to 5x foundations. 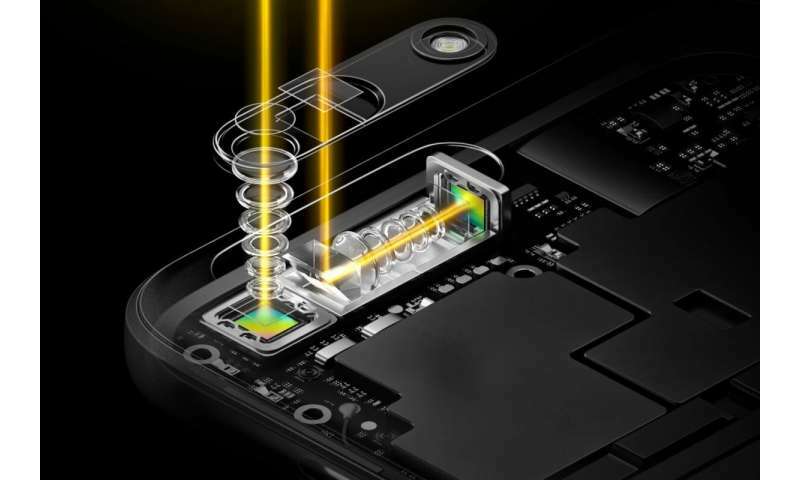 "Oppo's 10x zoom camera is probably based on the same tech Oppo had shown...The company combined a horizontally-positioned 'periscope' lens with new optical image-stabilization tech to achieve 5x zoom that's not horrendously jittery. I've tried out a prototype device and it appeared perfectly usable," he added—-even though the camera never made it to full scale product release. If there is an absence of details, why all the anticipation and guesses? The Verge had an answer, when Jon Porter noted that "with Oppo more willing to experiment with new features in a smartphone market that seems in dire need of some new ideas, 2019 might be the year for a technology like this to actually be released." So there are two answers which can be inferred. (1) The time is ripe with consumers bored with new smartphone features that neither surprise nor delight and ready for some genuine gee-whiz and (2) Oppo might seize the opportunity and sell a real product. The 5x lossless zoom capability on a smartphone was considered a breakthrough innovation compared with the 2x zoom functions available in the market today. Rehm also connected whatever dots there exist between the 5x and the 10x to come: "now it seems OPPO is going to skip the 5x zoom entirely and make a direct jump to a device with a 10x zoom lens that is based on the same principles." One reason why Oppo's 5x "lossless" zoom camera may have never made it into any actual product, said Schroeder, is the possibility that "the company needed more work to perfect the technology and managed to improve it further along the way, but we won't know for sure until Jan 16." The company's site talks up its periscope-style dual camera technology, and the 5x zoom "was inspired by the idea of a periscope on a submarine." Shifting the angle of the telephoto lens by 90 degrees, the lens will have the space it needs for a deep zoom, said the site. "A periscope-style prism then directs the path of the light entering the camera by 90 degrees, and sends the image through the telephoto lens when the user zooms in on a subject or object." Meanwhile, no matter what materializes at the Beijing event, Lars Rehm looks ahead. He said, "In any case it looks like we'll see zoom factors on smartphone cameras grow rapidly in the near future."